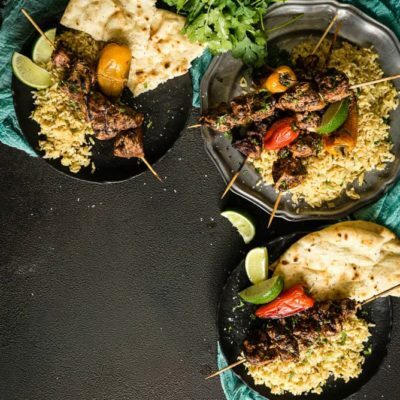 When the mood strikes for a fast meal with a ton of flavor try these Spiced Curry Kabobs with Coconut Turmeric Rice. It’s an on the table in under 30 minutes meal loaded with exotic seasonings for weeknight fun! Click the image above to shop! True story, it’s not all burgers and fries around here. When I am not on the road (or celebrating #BurgerMonth) I am often cooking for myself. 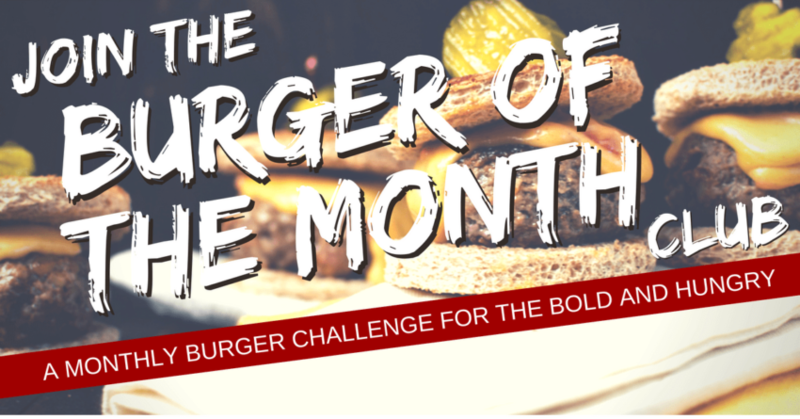 By the time I am done from weeks of travel, I want to get home and fire up my own grills to create healthy meals to refuel me (and no lie, help with the needed junk-food detox). I love the on the road life, jumping around, seeing places and meeting people. But it leads to some on-the-go choices that I wouldn’t eat at home. When I get home, I hit the market and fill it with veggies, fruits, and globally inspired flavors. 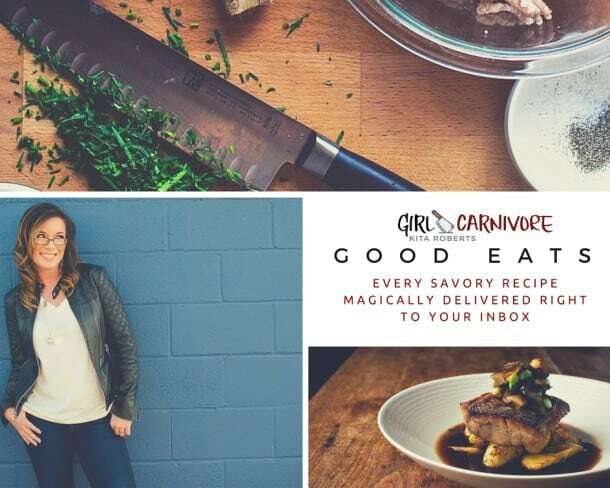 A lot of my home recipes are inspired by my travels around the world, pulling heavily on the spices and aromas from memories of crowded markets and street carts. There is such an abundant flavor profile for every region of the world, and being a bit of a food junkie (shock, I know), I take careful memories of the meals I experience, and the people I share them with. Having traveled to South East Asia, I found the cuisines to be amazing, refreshing, and each flavor built and crafted one meticulous layer at a time. There is an understanding of balance and a clean distinct taste in every bite. Curry is one of my favorite memories from the area. So many options to pair with fresh veggies and meat. After 3 weeks running hard on the road, I found my cabin in Maine stocked with fruits, veggies, and a pile of creativity as I was craving healthy balanced meals to reset. I knew I had some rice sent to me to try and I wanted to pair a menu around it. 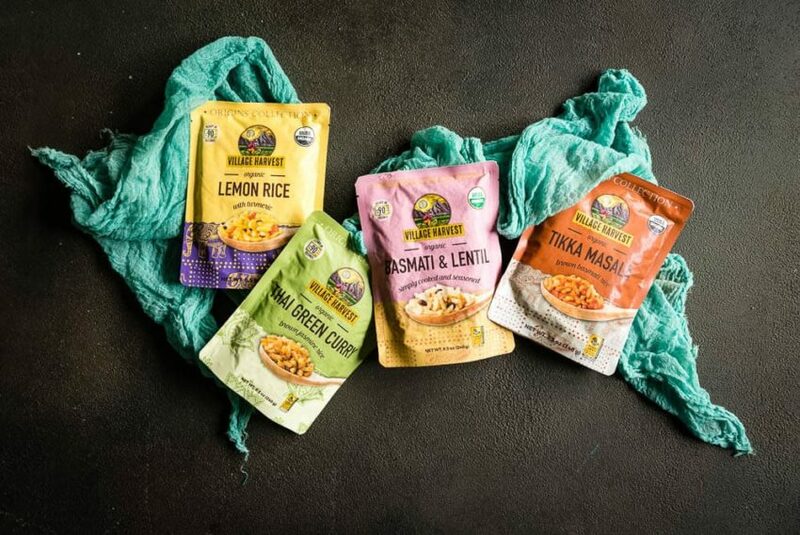 Village Harvest is upping the packaged foods game using recipes inspired by India and Thailand in their Origins Collection to inspire global flavors in your menu. They seem like they ‘get it’ when it comes to the idea of healthy flavors, good wholesome products. There flavors include Basmati & Lentil, Lemon Rice Tikka Masala from India and Coconut Turmeric and Thai Green Curry from Thailand. And all for that, OMG I am incredibly busy can I please just lay on my sofa and read for one night kind of on-the-go woman. I am excited to have their rice packages on hand to grab and infuse into my meals. These kabobs were epic. Char-grilled chicken marinated in coconut milk with zesty spices ready in under 30 minutes. But the easy flavor filled rice was the hero of this quick meal. 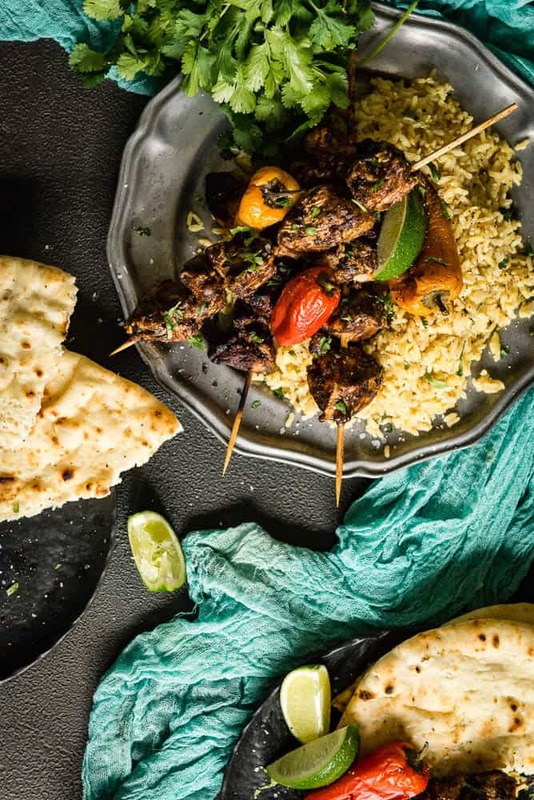 I piled the kabobs atop the coconut turmeric rice tossed with freshly snipped cilantro and grilled naan. I could have never whipped something up so flavorful and quick had they not send these packed inspiration bombs my way! I cooked mine in a skillet, but these packages are super convenient and are microwave ready for fast sides in 90 seconds! Another great thing about this whole kabob rice shindig? It’s a campfire meal! These rice packets can be cooked in a skillet and are toasted through in only a few minutes. 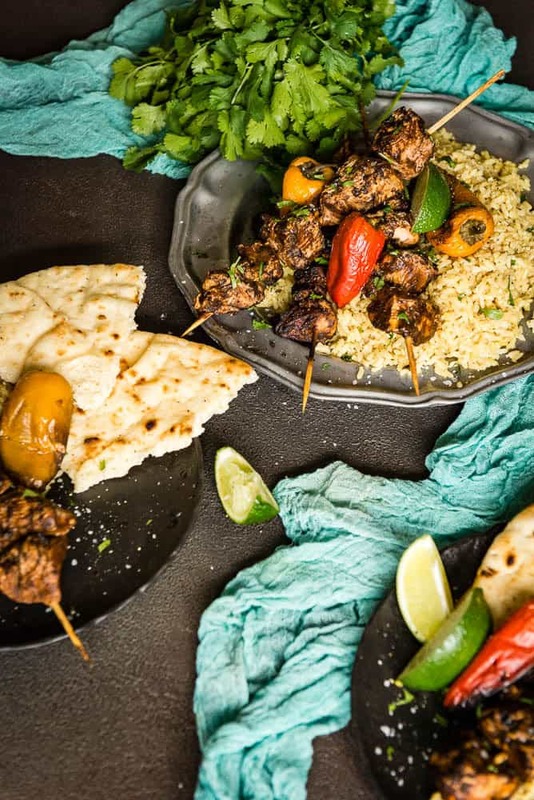 Marinate your chicken in a resealable bag already on skewers. Build fire. Grill and toss the rice in a camping skillet. BAM. Campfire dinner UPGRADE. Now we’re talking. 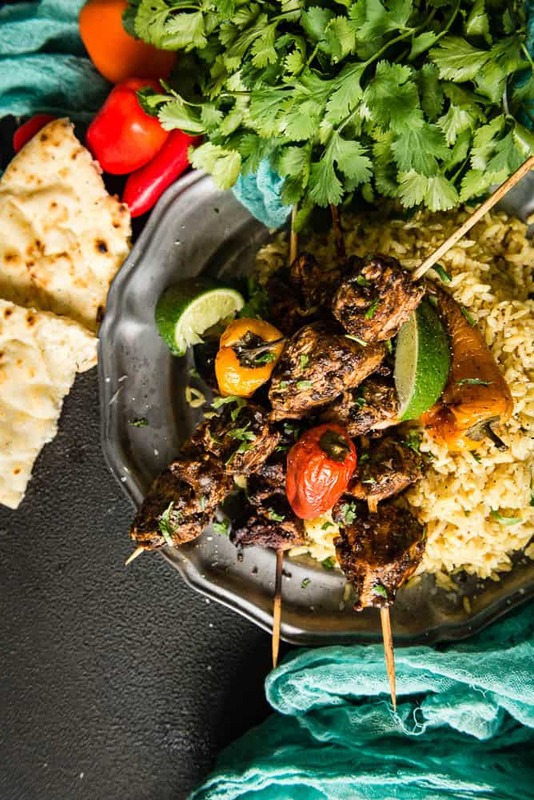 When the mood strikes for a fast meal with a ton of flavor try these Spiced Curry Kabobs with Coconut Turmeric Rice. It's an on the table in under 30 minutes meal loaded with exotic seasonings for weeknight fun! Whisk the salt, pepper, turmeric, and red curry powder into 1/2 cup coconut milk. Pour into a resealable container. Add the already cut chicken and allow to marinate in the refrigerator until ready to cook, up t0 8 hours. 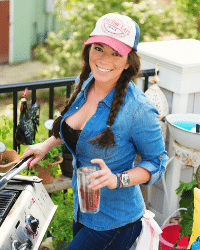 When ready to cook, clean and oil your grill grates and preheat the grill for indirect heat. Remove the chicken from the marinade and slide onto grilling skewers. Leave a bit of space between each piece of chicken to allow the hot air to circulate. Discard the remaining marinade. Cook the chicken over the cooler side of the grill, 15-20 minutes, rotating as needed. Meanwhile, toss the peppers on the grill and char to your liking, rotating as needed. In an oven safe pan, toast the rice with the remaining 4 tbsp coconut milk until heated through. Toss with fresh cilantro and set aside until ready to serve. Garnish the kabobs with fresh snipped cilantro, salt and pepper as desired. Serve the kabobs, peppers, and rice family style, letting people fill their plates as needed. I prefer red curry paste over powder. You can find it in the international section at most markets.